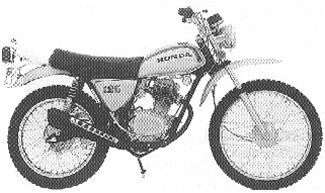 The SL125K0 was sold in 1971. It came in three available colors: Candy Emerald Green, Strato Blue Metallic, or Poppy Yellow Metallic. On the green bikes, the tank stripe was white; but on the other colors, it was black. The steel fenders are painted. The tachometer was standard. The bike had a 21" front wheel and a 18" rear wheel. The engine was an OHC single cylinder displacing 122cc linked to a 5-speed transmission. The serial number began SL125-1000001. 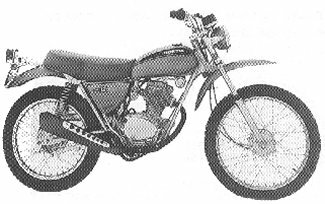 The SL125K1 was sold in 1972 and came in only one color: Special Silver Metallic. The gas tank stripe was red. The "HONDA" gas tank decal was black. The "125" side cover decal was red. The gas tank, headlight shell, and side covers were silver. The steel fenders are painted. The tachometer was standard. The bike had a 21" front wheel and a 18" rear wheel. The engine was an OHC single cylinder displacing 122cc linked to a 5-speed transmission. The serial number began SL125-1100001. 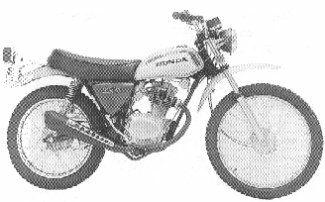 The SL125K2 was sold in 1973 and came in only one color: Special Silver Metallic. The gas tank stripe was red. The "HONDA" gas tank decal was black. The "125" side cover decal was red. The steel fenders are painted. The headlight shell and side covers were Matte Black. The tachometer was standard. The bike had a 21" front wheel and a 18" rear wheel. The serial number began SL125-1200001.